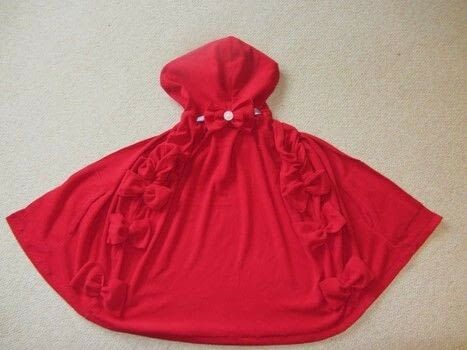 I'm dressing up as little red for Halloween and wanted a cheap cape, buying red fabric was really expensive so I thought I'd get a cheap red jumper and go from there...! 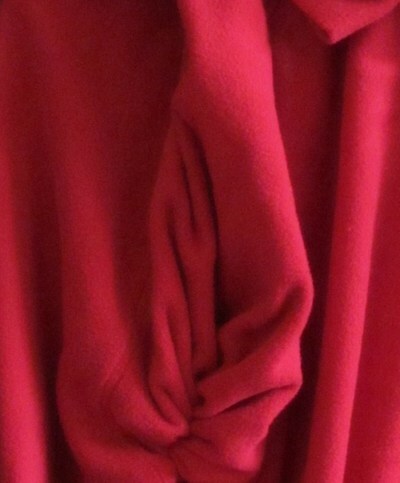 Take a hooded fleese jumper, lay flat and then fold in half. Cut along the fold, down the centre of the front of the jumper. Make sure you don't cut through the back of the jumper! Cut the sleeves from the jumper. Put to one side for now. Then push the sleeve ends back into the jumper, and from the inside sew a running stitch. 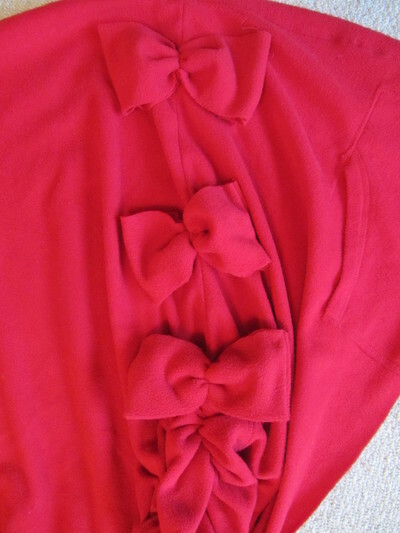 Pull on the ends of the thread and pull the fabric together. Take the sleeves and cut off the 'cuff' this will give you a rectangle of fabric. Sew through the middle of the cuff and pull tight, sew in place. I made three bows from the sleeves and stiched them down the side of the cape where the sleeve would have fallen. 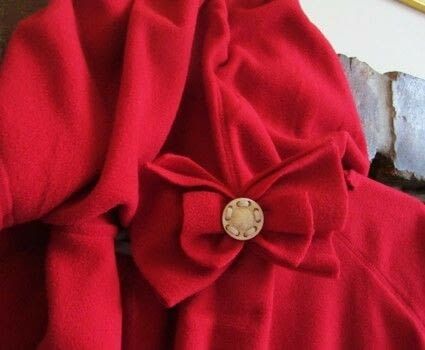 You can make additional embellishments. 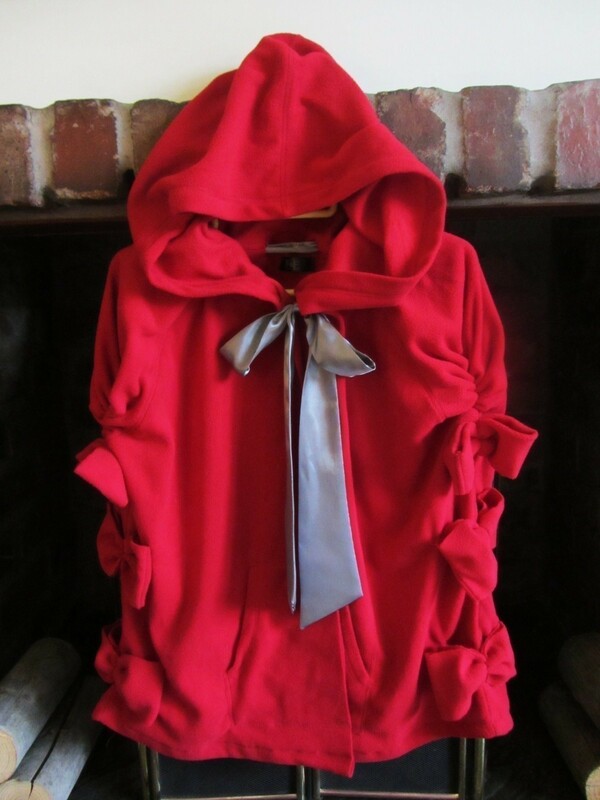 I just added a double bow, using two different sized rectangles of fabric, to the back of the hood. I finished it off with a button. 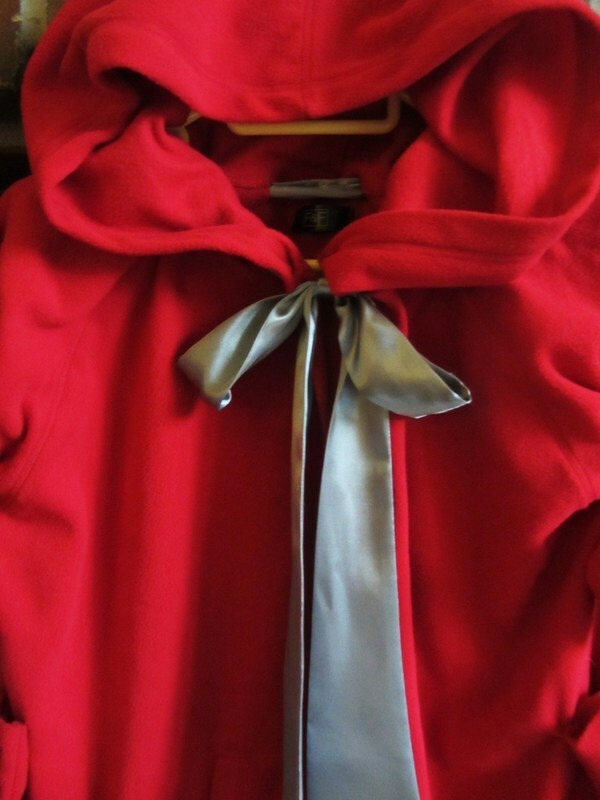 To keep the cape in place, I cut small holes around the hood 'line' and threaded a thick piece of ribbon through. To finish off tie a big bow! Oh my gosh this is co cute! Thanks for this i have been trying to find a decent tutorial for red riding hood. I'll let you know how mine turns out. Very sweet- careful though, red riding hoods are known to attract wolfs.